A lot of cars come with Android Auto these days, but you may actually get more features if you have an older car and add in an aftermarket head unit. Pioneer has launched two new AV receivers with Android Auto support. They aren't cheap, but that's par for the course. Pioneer has actually launched three new head units today: the AVIC-W8400NEX, AVIC-W6400NEX, and AVH-W4400NEX. Only the 4400 and 8400 have Android Auto—the other only works with Apple CarPlay. Pioneer announced all three at CES, but now you can buy them starting at around $700 for the cheapest 4400 receiver. The 8400 will cost you a cool $1,200, and these prices are just the hardware. You need a compatible vehicle and at least a few hundred to cover installation costs. The 4400 is the entry-level offering with a 7-inch resistive touchscreen. The 8400 is Pioneer's flagship unit with another 7-inch display. However, this one is capacitive. It also has support for backup cameras and built-in mapping with Here. Both units have FLAC audio support. When you get one of these head units in your vehicle, you can enjoy the benefits of Android Auto in wireless mode. You will need a phone that supports it, which means a Pixel or Nexus for the time being. 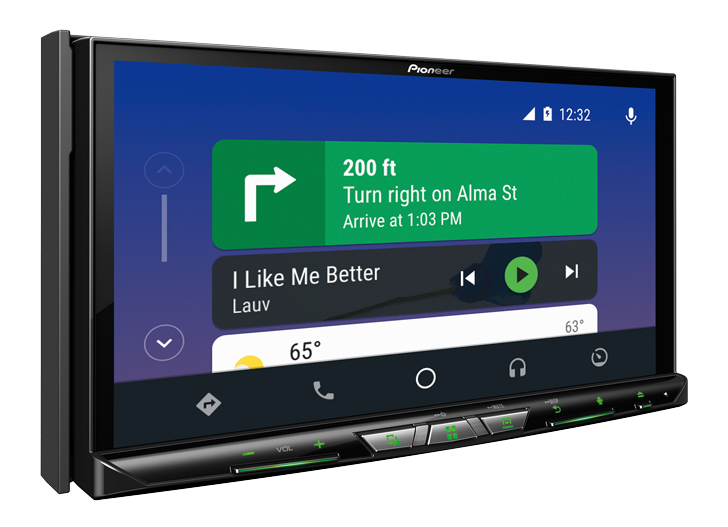 More phones will come later, and everything should have wireless Android Auto on Android P.